If you have more than 400ft (30mins) of cine film you will need to supply a hard drive for the AVI files which are approximately 12GB per hour. 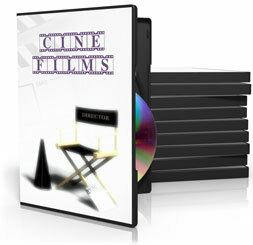 25% of the film transfer cost or £30.00 whichever is the greater. The Quicktime files (.mov) are supplied as 4:3 standard definition, 720x576 PAL, 12GB per hour ready for you to import into your computer for editing. Each film is transferred by a triple CCD high definition (HD), recording 1080 picture lines, chipset and transferred to a computer as a digital file. The high definition film capture enables us to capture your film at its optimum quality. Our cine transfer service produces excellent results with no flicker or centre hotspot. Please ask for a free sample DVD of a Quicktime telecine scan to try on your computer. There are no follow up communications or hard sell, we believe the quality speaks for itself.